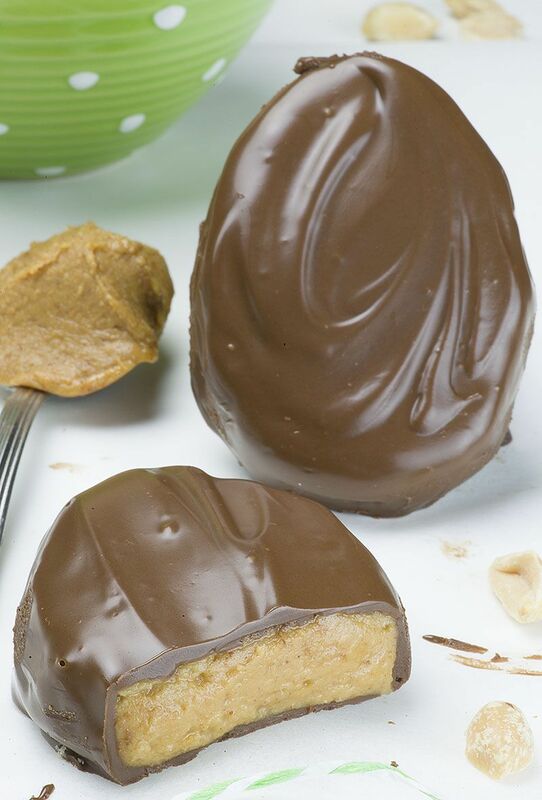 One of the most loved treats for Easter are the Reese’s Peanut Butter Cup Eggs. Reese’s are great for all times of the year, but for some reason they taste especially delicious in the egg form. Now you can enjoy your Easter tradition, but not the guilt to follow! In a medium mixing bowl, combine flour, protein powder. In a small microwave safe bowl heat the nut butter and maple syrup for 20 -30 seconds.Pour into flour mixture and stir until completely mixed. Add in unsweetened almond milk and a handful of chocolate chips and continue to stir until a VERY thick batter is formed. Form into egg shaped bites and place on parchment paper lined plate.Refrigerate for 30 minutes, or until firm.Once firm, melt your chocolate of choice and using two spoons, dip each egg into the mixture until fully coated and place back on the lined plate. Sprinkle with sea salt and allow to firm up before enjoying!Now your Easter will feel complete with a healthier alternative to your favorite treat!